Paul Klein spoke on Fine Art vs. Craft at ARC Gallery in Chicago during the opening for Encaustic U.S.A. He was a co-juror for this exhibition along with Shelley Gilchrist. Paul also talked about guidelines for success for artists. The event was well attended. He spoke about artists finding their personal art village and employing a vision and strategy for success. He distinguished vision from strategy in that an artist’s vision is non-negotiable. Strategy includes such things as: size, color, price, dealer, other artists, etc… He says to find a strategy that works, and that every artist can find success on their own terms. Composition – which he feels relates to both craft and fine art. Context (as conversation) – how you contribute to the dialogue (could also refer to both craft and fine art). Content – which he defined as an expression (vs. a trend), and a vulnerability which comes from seeking inside oneself, a vulnerability which translates to the viewer. Paul feels that fine art happens when you can see the soul of the artist, and that craft is an artistic expression and is concerned with the use of materials. He said this distinction might be determined as the soul of the materials (craft) vs. the soul of the artist (fine art). He qualified his views by saying that defining high art is, of course, subjective. He also said that there are artists who have confused this line between craft and fine art, and he feels this began with the Abstract Expressionists including Franz Kline and Mark Rothko. He then opened the floor for discussion. Many artists felt that this line between fine art and craft was mutable and illusory, that it had long been a discussion in work by ceramicists and encaustic artists. One artist was concerned with using “soul” as a criteria which defines fine art, and felt that “soul” involved a philosophical conversation. She suggested that it is the artist’s voice and not the artist’s soul which comes forth. Paul felt that the “voice” could assume a posture while the “soul” reveals vulnerability: head/intellect vs. heart. It was a lively discussion surrounded by a wonderful show. 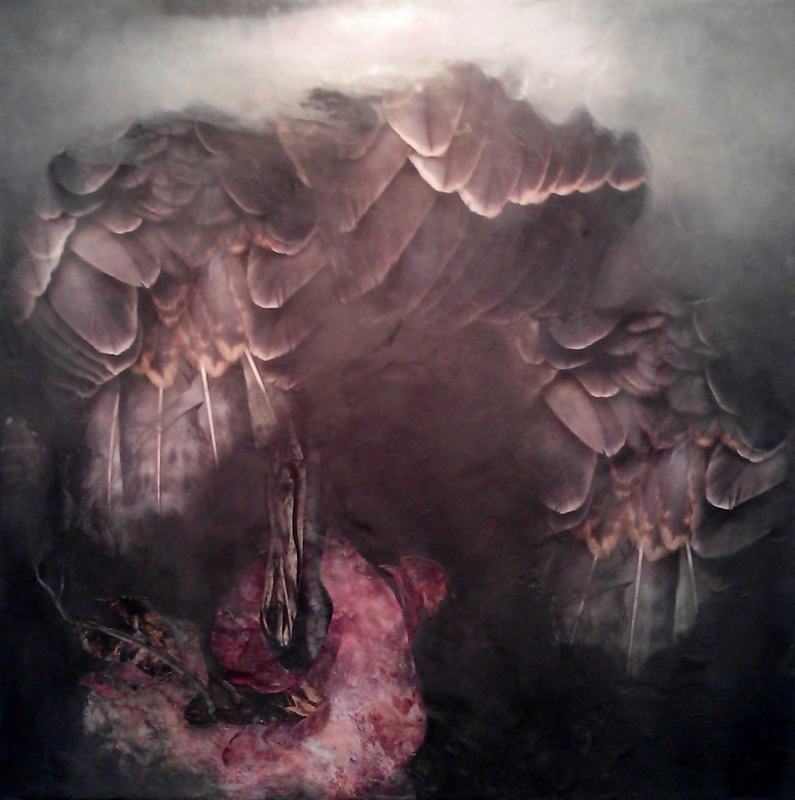 See Encaustic U.S.A. at ARC Gallery through July 20, 2013. 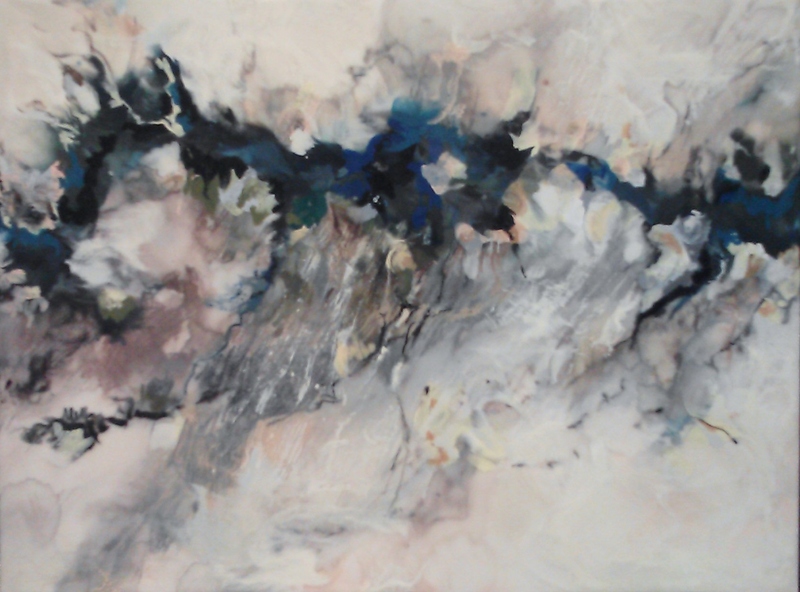 This entry was posted in Uncategorized and tagged Abstract Expressionists, ARC Gallery, Encaustic U.S.A., Fine Art vs. Craft, Paul Klein, Shelley Gilchrist. Bookmark the permalink. This is a very good recap of the talk and conversation. Thank you for taking this on. I appreciate that, Pauline. Thanks for reading!